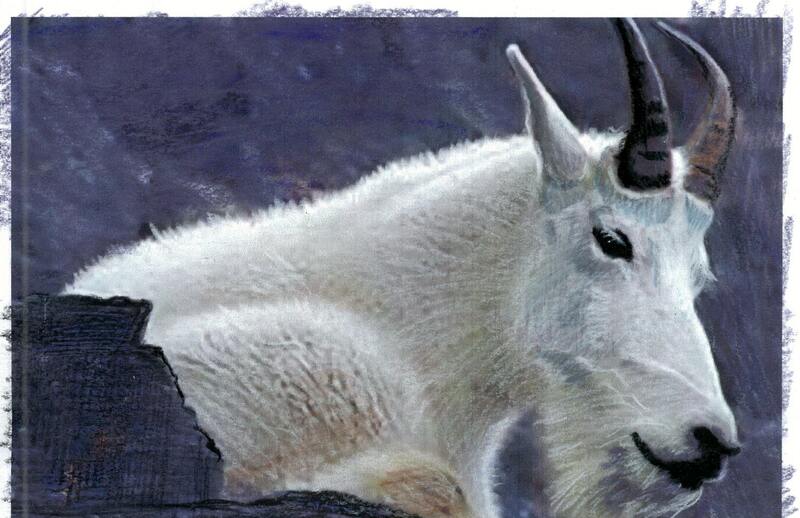 This Billy is a Rocky Mountain Goat from the northern Rockies. Glacier Park is one of their last best places. They are not true goats but more closely related to antelopes. I drew this big guy resting in the rocks. The background is done in dry pastel and the goat and rock faces are done in Prismacolor, a wax binder pencil. The original painting is then sprayed with a fixative to seal it. 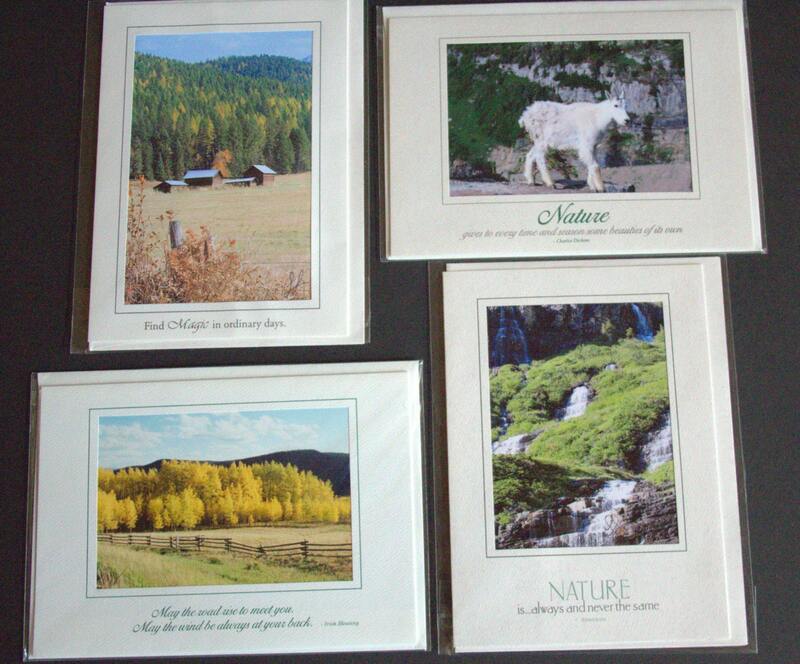 Greeting cards are 5" x 7" printed on Fine quality photo paper and placed inside a 100% recycled paper and vegetable dyes with a matching envelope. 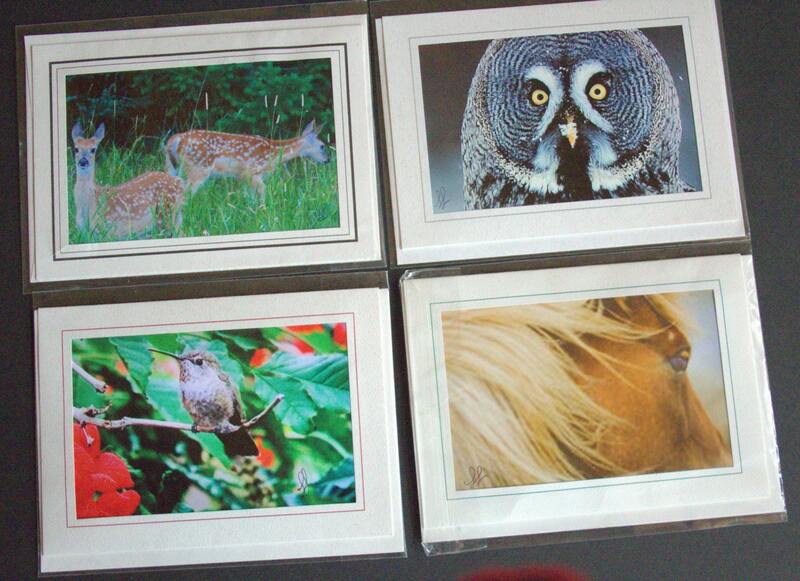 They have a matted window opening and can be framed with a standard 5 x 7 frame. They are blank inside. I can customize ink color and font and word location to any other customization you want.